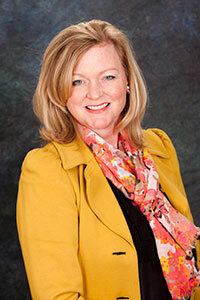 Suzanne Ekvall graduated with honors from Texas Tech University with a degree in finance in 1983. Thereafter, she obtained her law degree from Texas Tech University in 1986. After graduation from law school, she was privileged to serve as briefing attorney for Chief Justice Clarence Guittard and, upon his retirement, Chief Justice Craig Enoch at the Fifth District Court of Appeals at Dallas. Ms. Ekvall joined the litigation firm of Bailey & Williams in 1988 and later became partner, where she concentrated on the representation of hospitals and physicians in medical malpractice litigation, large vehicular accident cases, bad faith insurance litigation and mass toxic tort litigation. After leaving Bailey & Williams, Ms. Ekvall had her own practice for many years before joining the law firm of Ekvall & Byrne, L.L.P. in 2009, during which she concentrated her practice on the representation of defendants in complex cases. Ms. Ekvall gives talks and presentations to various industry groups on current litigation issues.